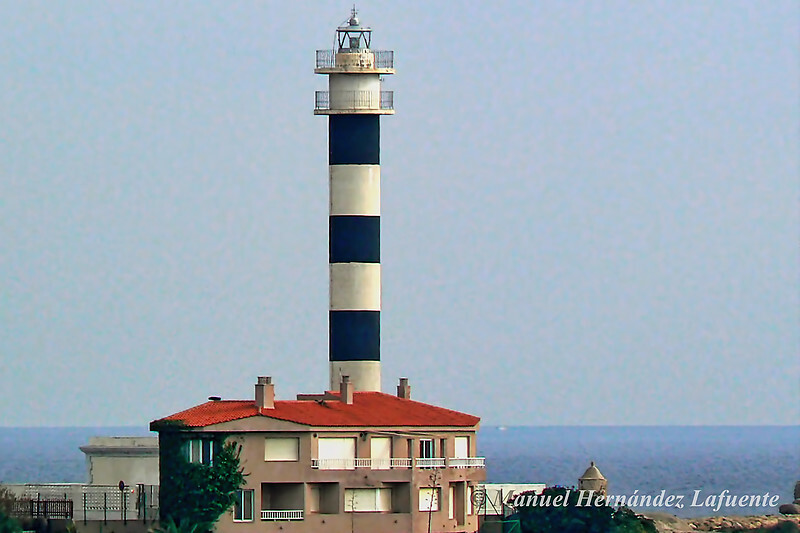 In 1862 the lighthouse of Estacio was inaugurated, of 6º order, and with appearance of fixed red light. The light was generated by an olive oil lamp, later replaced by a paraffin and oil lamp. In 1911 the fixed light was transformed into light of occultations, incorporating a set of rotating screens. In 1926, the luminous equipment and the equipment of rotation of screens was substituted, by another one of acetylene gas of naked flame with flashing light that produces the new appearance of group of flashes, automating completely the lighthouse. In 1957 it was decided to demolish the old lighthouse and build a new taller tower to achieve greater reach, since the old building could not be re-built. In 1996 the luminous equipment was replaced by one of greater reliability equipped with a microprocessor-flasher. Since 1998, this signal has been incorporated into the Remote Maritime Signals Supervision System.